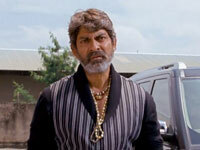 Legend, a Telugu movie, is not currently screening in Hyderabad. When you are in a theatre full of people who start screaming "Jai Balayya, Jai Jai Balayya" when the interval bang happens, it is difficult to be objective. This is what happened to us when we were watching Legend today. The movie, which has an absolutely banal first half, moved into top gear right before interval, and when the interval card came on screen, people started screaming as one. And this was not even in a single screen, this was in Prasads Imax, on the big screen! fullhyd.com has 700,000+ monthly visits. Tell Hyderabad what you feel about Legend, and then also see all user reviews for Legend!